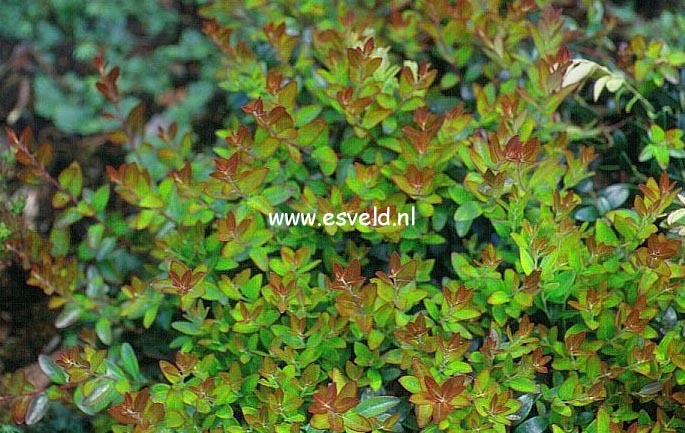 Mat forming blueberry with bronze young leaves. The size after 10 years is 30 cm. The fruit colour is blue. This plant is mostly hardy.